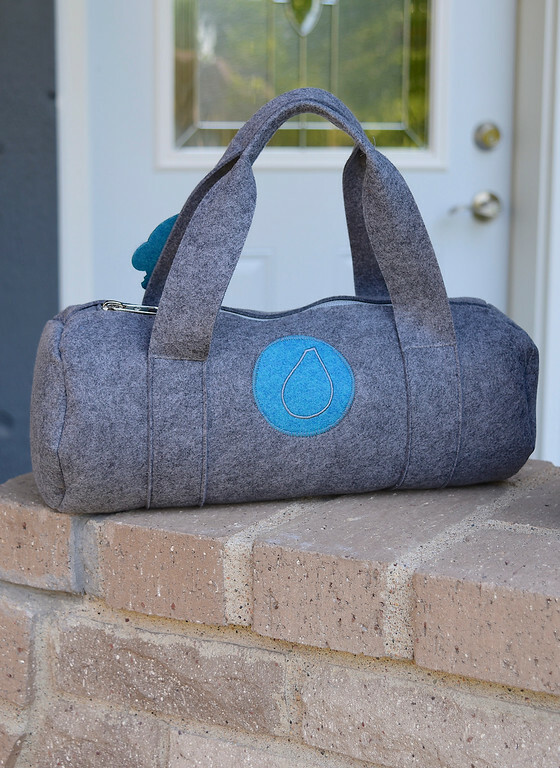 I am excited to share with you Emily's newest project! 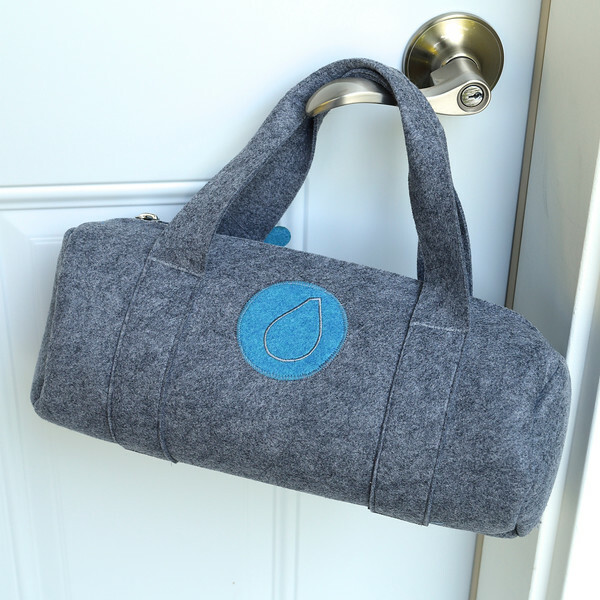 Emily and I participated in Sew Mama Sew's Bluefig challenge this week. 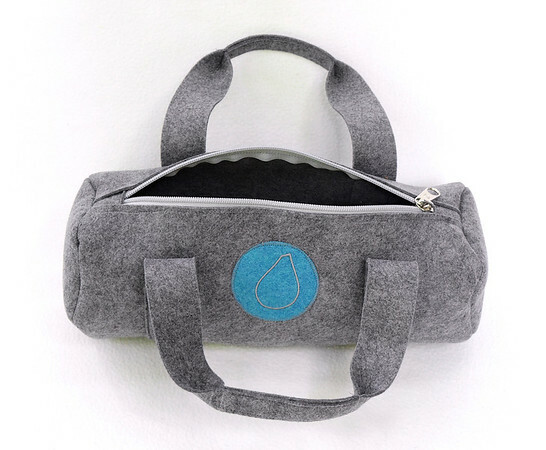 Bluefig is a Washington-based company that sells, among other things, ready-to-sew kits for kids 6 and older. 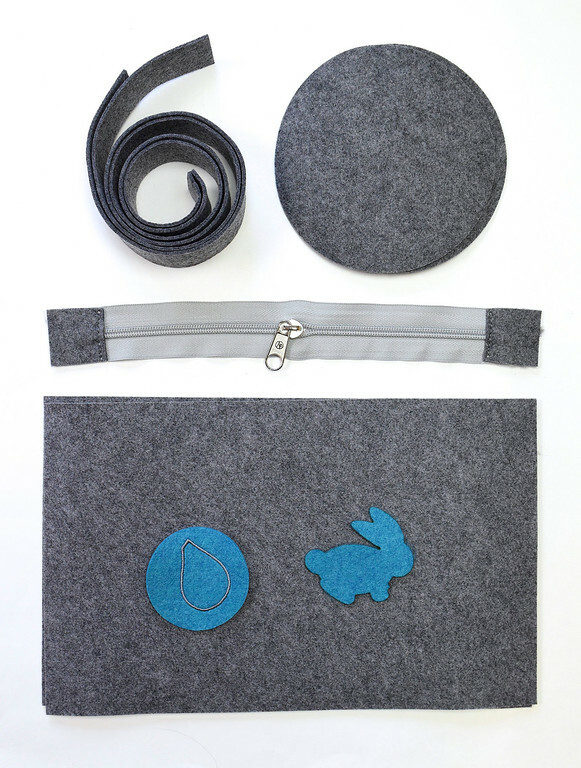 Their Bluefig University sewing kits cater to three learning levels, and contain ready-cut pieces of felt for kids to stitch into bags and other accessories. to make a little duffle bag about 12" long and 6" across at the ends. 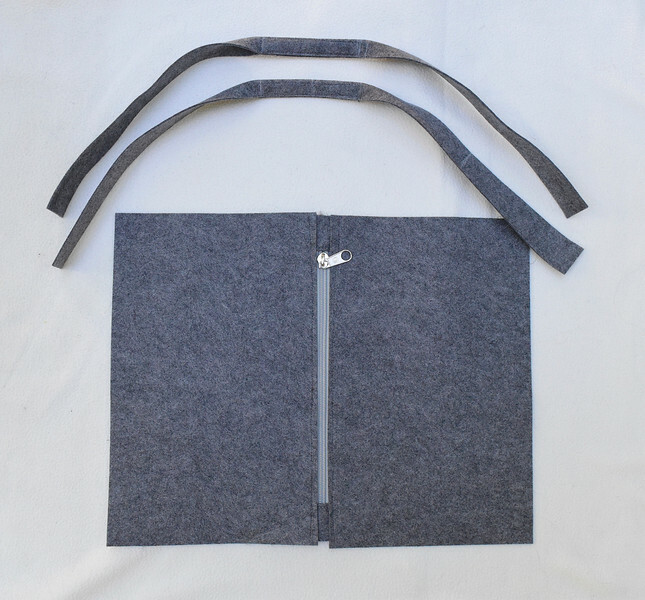 pre-cut parts of a bag in thick felt. 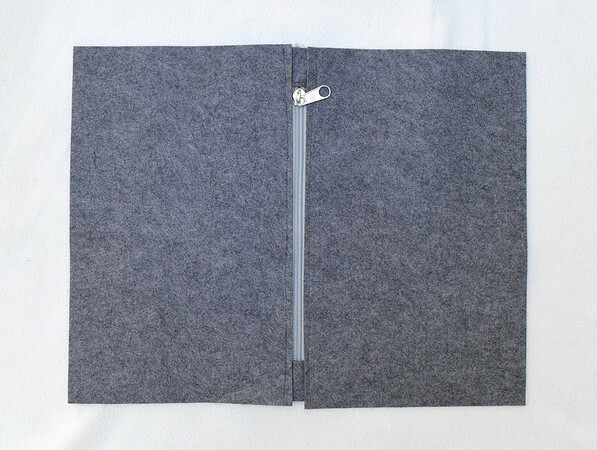 The zipper came with its ends prepped with pre-sewn fabric tabs. Also included was an instructional booklet. Video instructions were suggested but they were unavailable on the Bluefig website at the time we were working on our project. Here are some sample pages. This is the introduction section, explaining right and wrong sides (which were denoted throughout the instructions as grey vs white instead of the text notation of RS and WS). 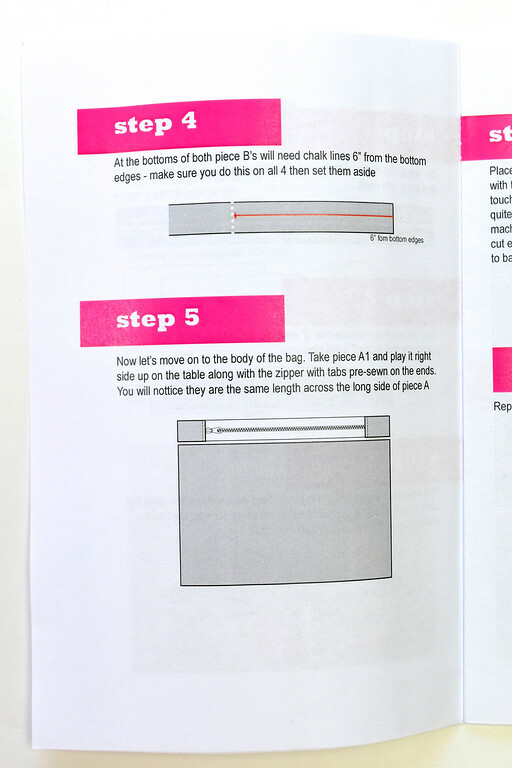 Here are two sample pages of instructions. 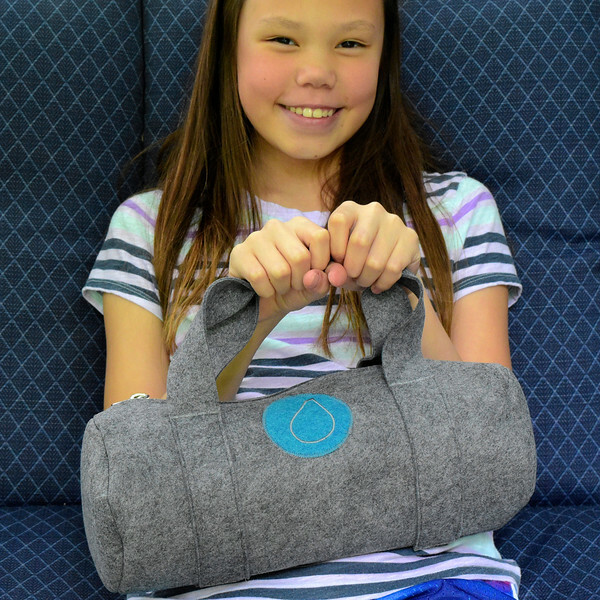 Emily, who's eleven, worked on the bag over the weekend. Because she is comfortable at the sewing machine, and has independently completed many projects, including this patchwork ball, she made the bag almost entirely without my help. She does not always sew on the floor, incidentally! First, the zipper was installed. 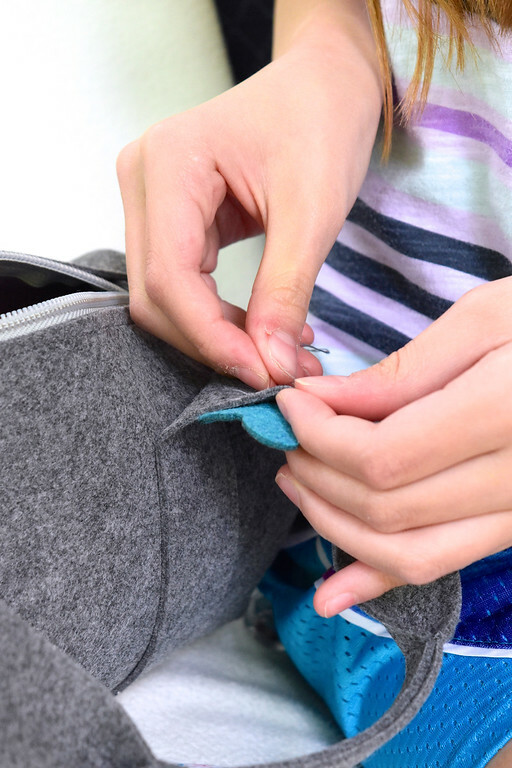 The choice of felt made it unnecessary to fiddle with raw edges and lining layers - this step was simply sewing two straight seams to attach the zipper to the WS of the two main body pieces. 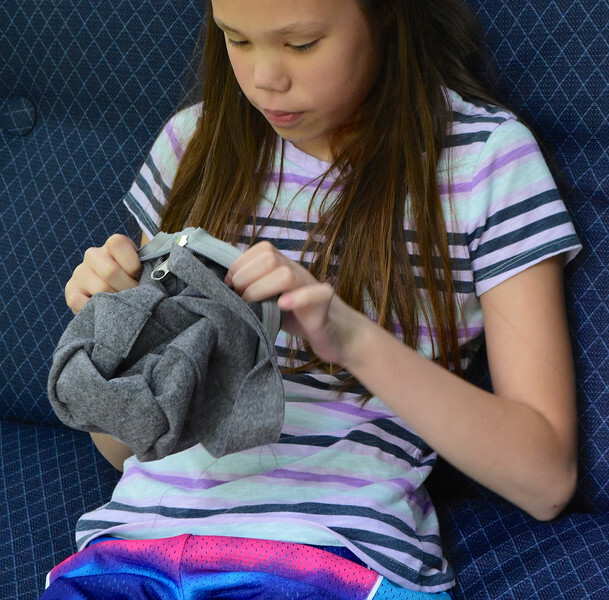 Next, Emily folded the middles of the straps and sewed two rectangular outlines to make comfortable-width grips. 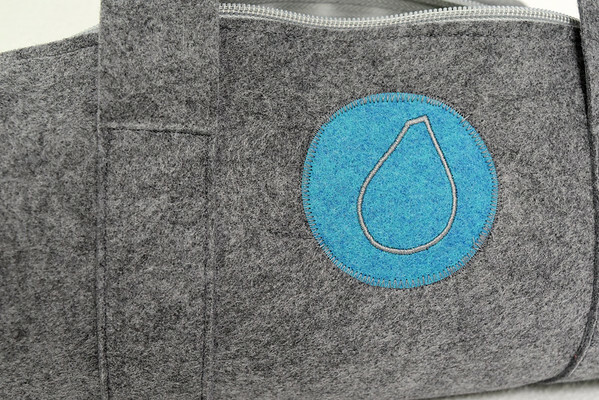 Then, she appliqued a decorative patch to the body of the bag with zig-zag stitch. This was the first time she'd attempted this technique, and she was very excited to learn it. After this, she edge-stitched the straps onto the bag. Here are the handle grips. This next bit was the most challenging part of the construction process - attaching the circular ends. It is challenging even for experienced non-kid seamstresses! I helped Emily pin the two fabric layers pieces together at the ends, and showed her how to measure and match the quarter marks (which the instructions did not include). 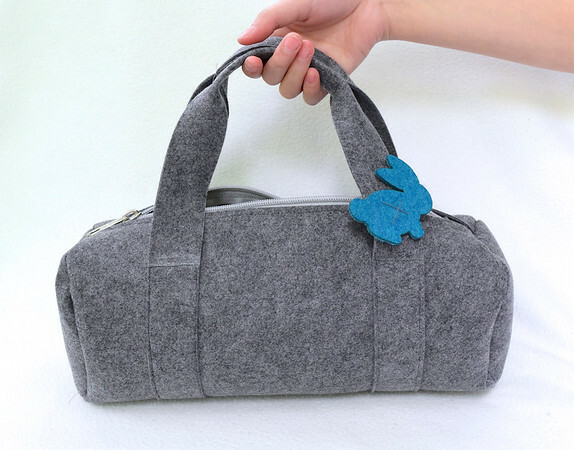 She then sewed the two circular ends onto the main body of the bag. Finally, it was time to turn everything right side out! 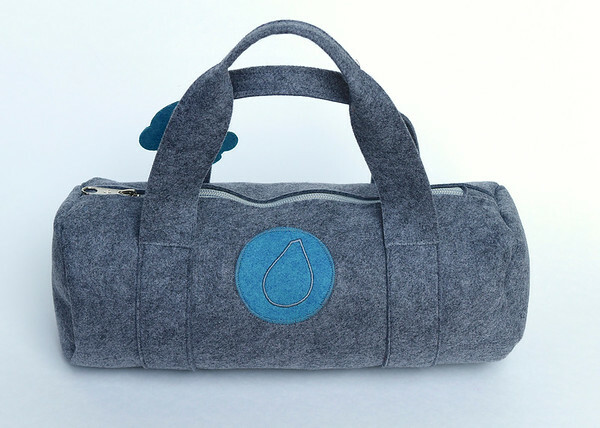 The kit came with an additional fabric shape for embellishing the bag, and Emily hand-stitched that onto one of the straps. We are both proud of how it turned out! 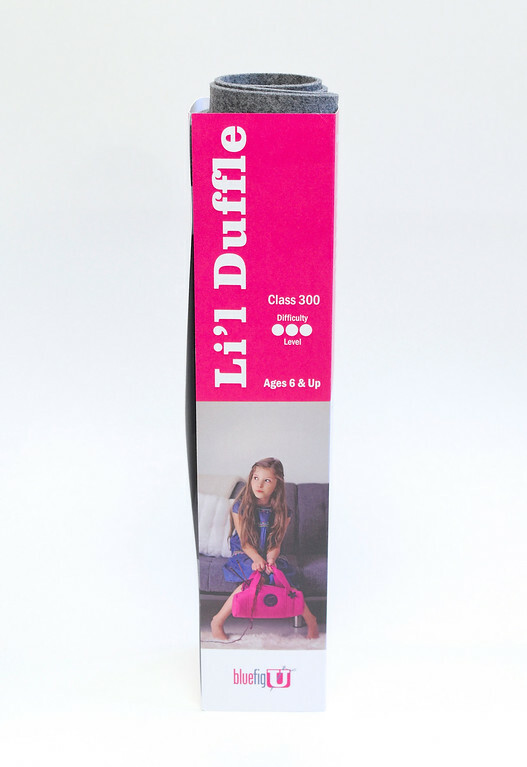 Emily took her Lil' Duffle bag to school with her to show her friends today. 1 We appreciated that the pieces were pre-cut, so we could get to the actual assembly right from the start. 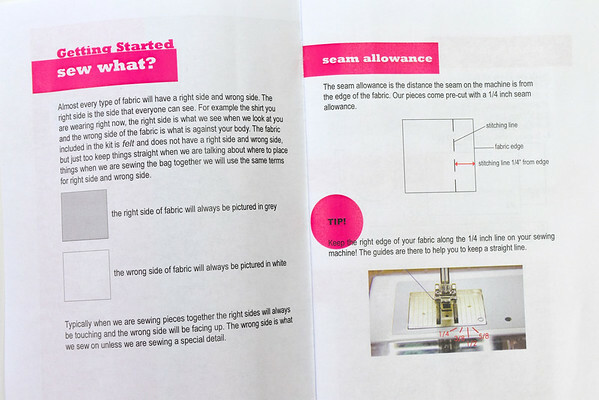 The instruction booklet provided dimensions for the pre-cut pieces, which Emily thought she could refer to for making duplicates of this bag in the future. 2 We loved the materials. 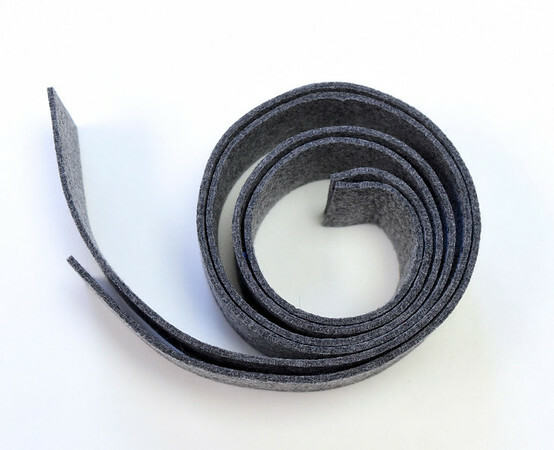 The felt was of a good thickness and overall quality. 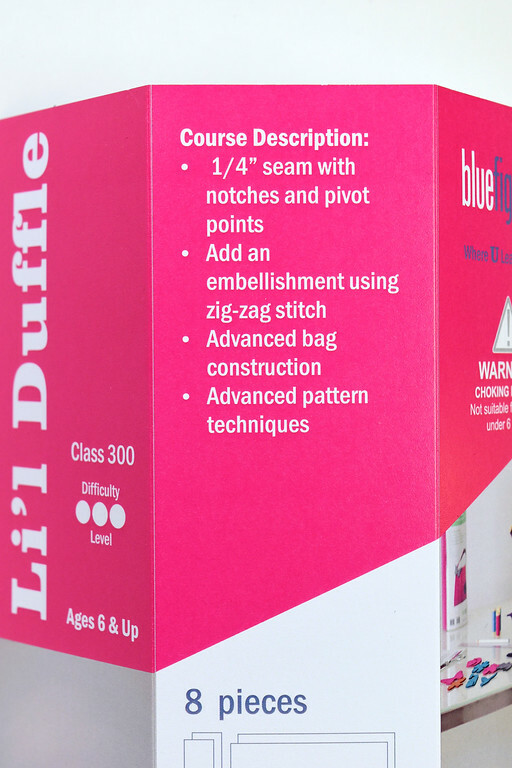 Felt is a smart choice for kids' and beginners' projects because with it, one doesn't need to deal with right vs wrong sides, fraying edges or accurate stitching lines for specified seam allowances. 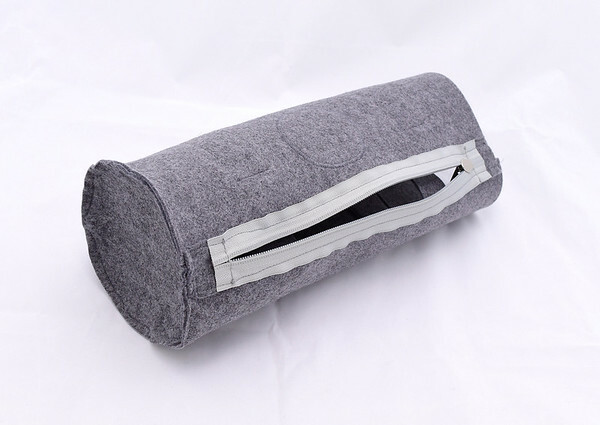 This, in turn, eliminates the need for a bag lining, or for binding the seam allowances on the inside of the project. 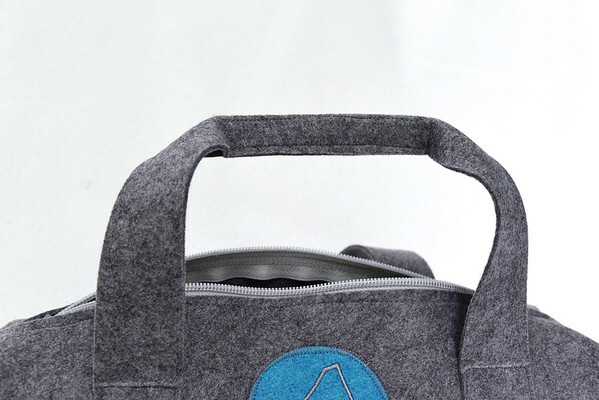 While these are all useful and necessary techniques for bagmaking with more traditional materials, kids (and beginners) are often more than happy to skip these if it means finishing a project in less time. 3 We found that the instructions, while accompanied with annotated diagrams, were not adequate for a child to follow without additional help by someone more experienced in making similar projects. This should have been indicated in the kit, especially since it was easy for users to assume, as we did, that we would be learning the techniques as we followed the directions. Some of the phrasing was vague and/or awkward, so that I had to re-interpret certain steps for Emily, who found the text instructions inconsistent and confusing. 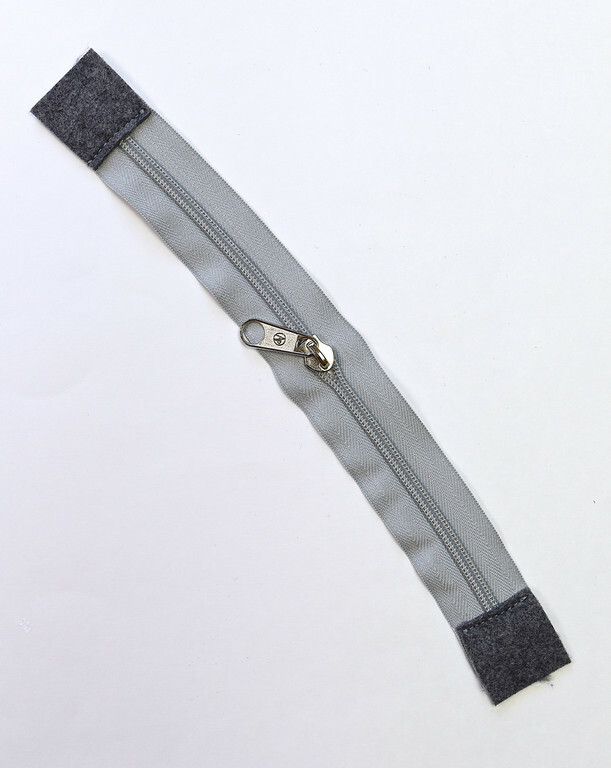 As an example, the last step - in which the circular piece was attached to the end opening of the tubular body - is, as mentioned, a fiddly technique even for adults, and easily results in puckers, slipping, or misaligned seams, particularly with fabric as thick and stiff as this felt. Emily experienced all of these, which we then corrected after I'd demonstrated alternative ways to do this step. 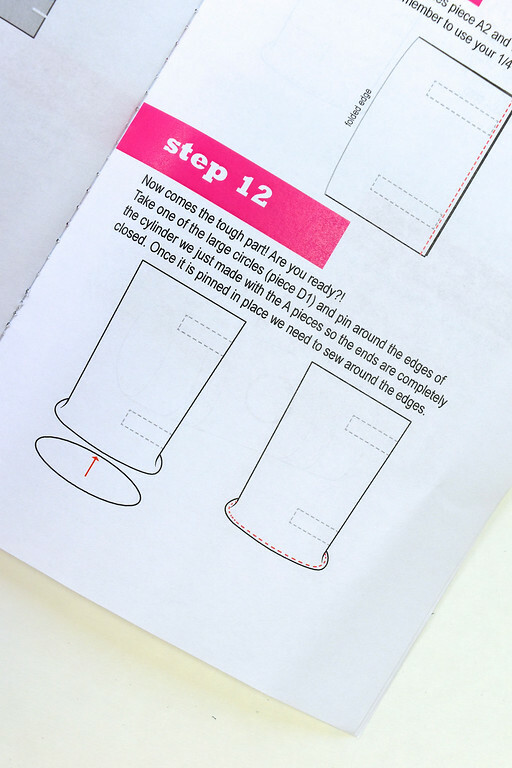 We felt that more detailed instructions or, at least tips for success, would have helped considerably with the trickier steps, such as this one. 4 It was a pity that the video instructions mentioned in the package were not currently available. Children, especially, find live demonstration very helpful, much more than pictorial instructions. Hopefully the videos will be made available soon - they will certainly add to the ease of the assembly process. 5 I contacted the staff at Bluefig with my questions and feedback and they were prompt and gracious in their response. 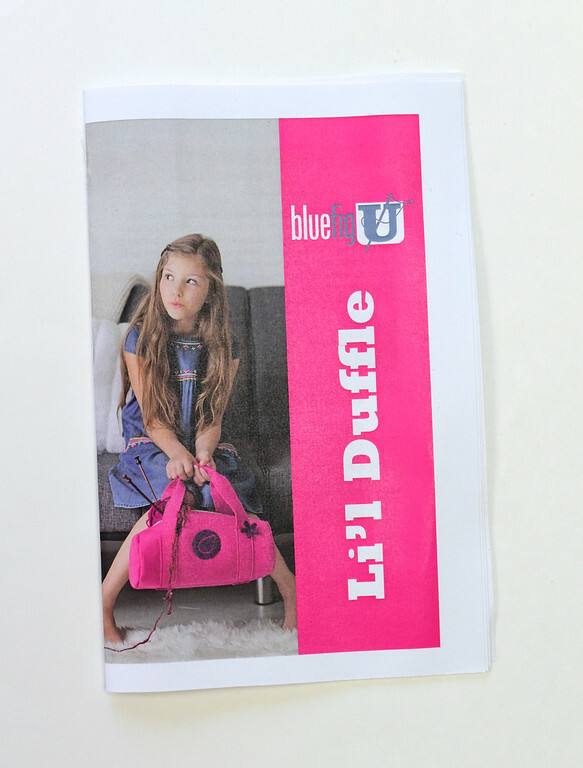 Disclaimer: We received the Bluefig University Lil' Duffle Sewing Kit free in conjunction with Sew Mama Sew's Bluefig Challenge in exchange for an honest review. What a cool kit! I would have been crazy for that at age 11. 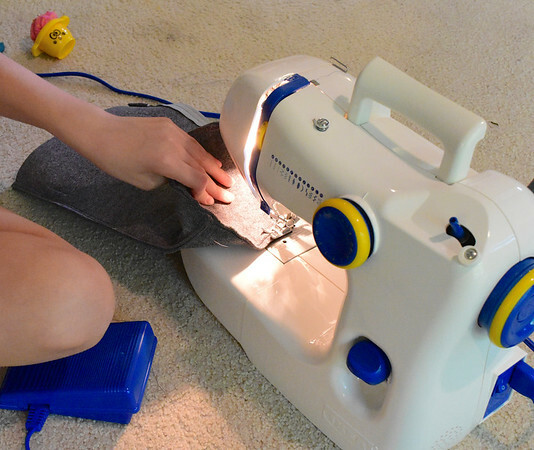 Oh for the days I was flexible enough to work a sewing machine on the floor... and tell her she did a great job! She did a beautiful job on the bag! Those kits look pretty fun! 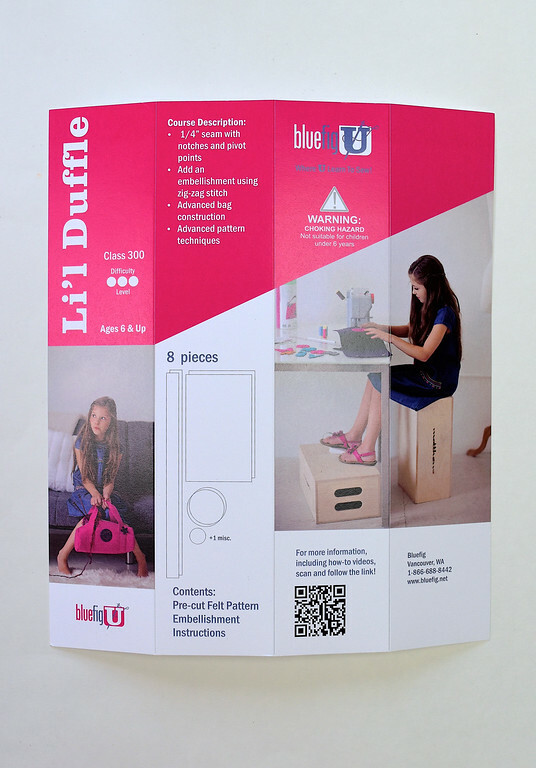 A great idea and quick to execute which always makes a good kid project. Looks like the directions need some editing (& spell check - step five) and testing to see if the age audience can figure out what is read. I learned to sew from my mother. On sewing patterns, I recall asking her on what seemed every step - "what does this mean?" A video may resolve some of the issues. I have never seen anyone sew like that! Great review! I hope they take your suggestions to heart. I could see all four of my kids loving these kits (Anna probably has some growing up to do first). Hi! I have been an avid reader of your blog for years, though this is my first time commenting. Emily did a super job! I love her proud smile and the way she is sewing on the floor. (I clearly recall sewing like that as a child) Thank you for your inspiring projects and witty commentary!